UPDATE: After this article was published, Baldwin County School Superintendent Eddie Tyler announced he was ceasing negotiations with the Gulf Shores School Board. One of the big questions surrounding the Gulf Shores school split — besides the disputed date of the separation — from Baldwin County schools is where students in the current feeder pattern but outside the city limits go to school. The majority of those students are from Orange Beach but also come from Ono Island, the Fort Morgan area and unincorporated areas north of Gulf Shores. The county hopes to have a school with grades 7 through 12 opening in Orange Beach in fall 2019 to accommodate those students. At its regular board meeting on Feb. 8, the Gulf Shores City Board of Education announced any student enrolled at Gulf Shores Middle School or Gulf Shores High School for the 2018-19 school year is invited to finish at Gulf Shores High School tuition-free. Students would also have the option of transferring to the Orange Beach school when it opens. “This invitation is predicated on the successful negotiations with the Baldwin County Board of Education based on one premise: The agreement that all revenue — federal, state and local — associated with these students be entrusted to the Gulf Shores City Board of Education,” said Gulf Shores School Board President Kevin Corcoran, reading from a prepared statement. Reportedly plans have been drawn up for the new school and Orange Beach officials are expecting Superintendent Eddie Tyler to present them soon. But no ground has been broken nor has Orange Beach followed up on plans to transfer property on Canal Road to the county board. It has been on the City Council’s agenda since November but pushed forward to the next meeting each time. On Feb. 6 the item was moved to the Feb. 20 meeting. County negotiators are counting on that August 2019 opening date of the Orange Beach school to coincide with the Gulf Shores split. Gulf Shores wants to open doors on the new system for the 2018-19 session. While both sides contend negotiations are going well, they continue to banter back and forth on this sticking point. The teams met for the third time on Feb. 8 at the Baldwin County annex in Robertsdale and afterward both continued to push their own timetables. 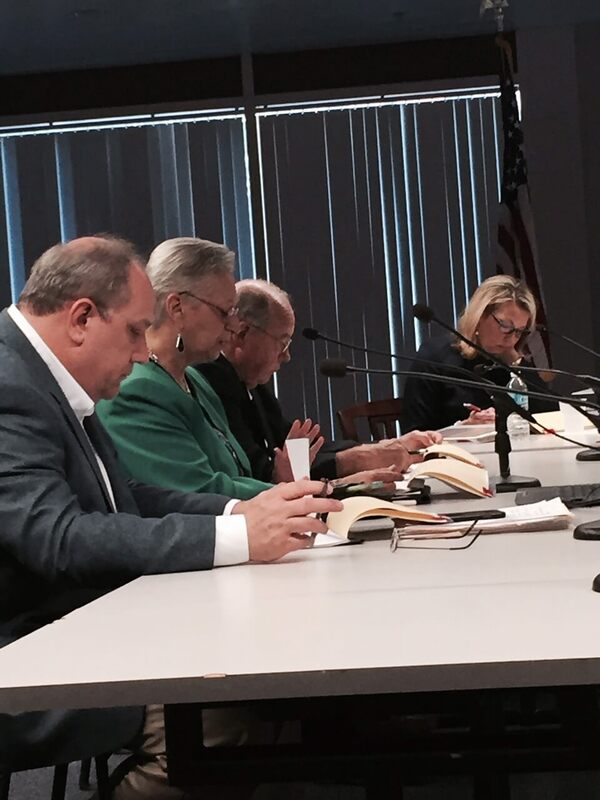 The county released a list of timetables in other split negotiations in Alabama that had taken anywhere from more than four years to nine months. Gulf Shores is hoping for about an eight-month transition to officially split on July 1.